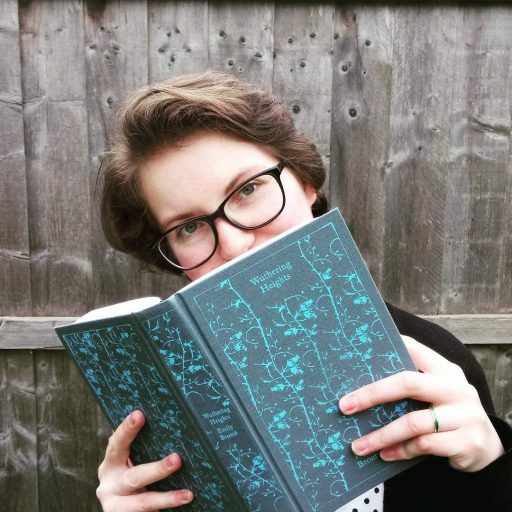 Poet and author Sophie Sparham, 24, has launched her Books Not Booze initiative to offer an alternative to drinking through reading books. As a birthday present to herself, Sophie, from Derby, launched Books Not Booze, an idea that stems from her own personal experience with alcohol and mental health, and which seeks to help others. In the past year, Sophie has sadly known three people who have committed suicide and struggled with alcohol. “I find that having been to the funerals, people say ‘oh, it’s so sad’ and then life carries on. I feel like I really just wanted to do something,” says Sophie. She launched the initiative by recording and posting a video blog in which she explains the reasons behind what she’s doing, and announces that she won’t be drinking for a whole year. During this year, she will attempt to read at least 12 books (one book per month) with the idea that reading a book will be better for her mental health than relaxing with a glass of wine. Why books? They might first appear to be an unlikely choice when it comes to giving up alcohol, but, as Sophie points out in her video: “You can’t read books when you’re razzle-dazzled”. “I want to be a novelist,” she tells me. “And I had all these books on my shelf and I thought ‘God, I’d love to read them, I’d love to be able to read books more’. And I tried to read them, sometimes I’d come in from a night out and be like, I can’t just read this now. Although she has compiled her own reading list, she is clear that people who want to take part in Books Not Booze can choose their own books to read. Her choices are all books that people have either lent or recommended to her. Her personal reading list includes: The Night Circus by Erin Morgenstern, The Handmaid’s Tale by Margaret Atwood, Naked Lunch by William Burroughs, and Norse Mythology by Neil Gaiman. Reading transforms you, takes you to another world away from your own life. It gives you a break without harming or damaging your body. As an author herself it’s clear that books and reading are a passion of hers. She believes that reading can be hugely beneficial for our mental well-being too. “Reading transforms you, takes you to another world away from your own life. You’re in a world that is completely foreign to you and you’re not thinking or worrying. It gives you a break without harming or damaging your body. After the first year of Books Not Booze Sophie hopes that the initiative will be able to continue and help more people on a much bigger scale. “I’d like it to be a national scheme. Used across the UK, in rehab groups, in prisons, in places that need it. I’d like to work it into rehabilitation centres, try to use this to help alongside the work that they’re doing,” she says. Sophie will be blogging her progress via her YouTube channel each month, and she has set up a Facebook group for the people who want to take part in the initiative. Already, people are talking to one another and sharing the books they’ve decided to read. But which book is Sophie most looking forward to reading?